Tyumen, Russia played host to IJF’s Grand Slam event over the July 13 weekend. This is one of IJF’s larger events drawing participants from all over the globe looking to collect points for the 2016 Olympics. 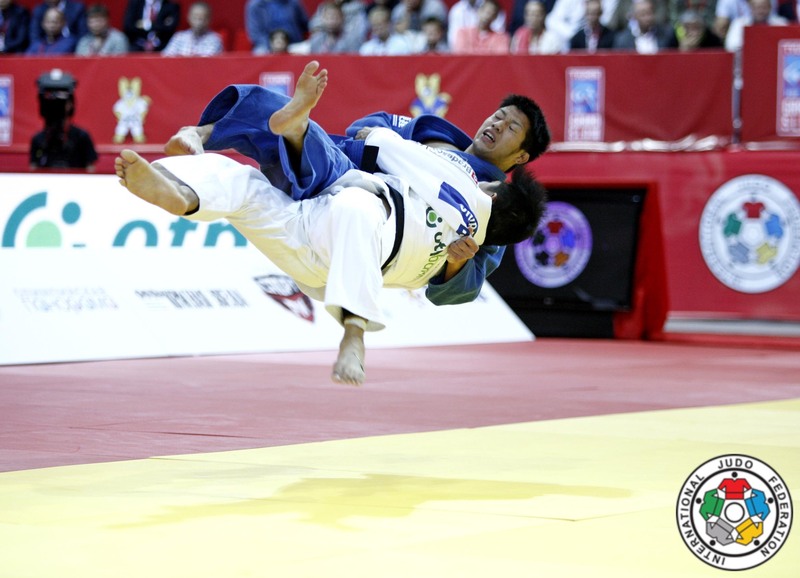 Day 1 of the action featured women’s -48kg, -52kg and -57kg categories and men’s -60kg, -66kg and -73kg categories. Day 2 action is posted here. Let’s take a look at the top 5 ippons! Although not an ippon, on any other day it could have been. Pomba Da Silva scores a wazari with a bit of a reverse seoi nage. Yamagishi bounces along sideways just like in the typical classroom drill, Menezes takes a second to say WTF are you doing, and takes advantage with a de ashi barai/okuri ashi barai. Valkova pushes straight into Abe as soon as she gets her grip to try and force Abe off of the mat (why? I don’t know), count em – 5 times. Abe finally says “Thanks for the gold medal” and tosses up an easy left uchi mata. 45 seconds left ticking off the clock. Both players have 3 shidos. Oshima is down by a yuko when suddenly he dissapears out of Mshvidobadze’s view and springs up with a morote seoi nage for the come-from-behind ippon. This throw will be one of those that you see in highlight reels for years to come. Chibana throws up a massive jumping ura nage counter to Rokugo’s uchi mata attempt for the gold medal. AND Stay tuned for highlights from Day 2 at the Tyumen Grand Slam 2014 which will be posted tomorrow! Previous Making Judo relevant in the UFC?